Law Office of David M. Goldman PLLC represents individuals and Florida Businesses in Jacksonville and the surrounding areas in Florida Business law and Florida Business Formation. Our Florida Business Attorneys and Florida Business Lawyers work with clients in to help them choose the correct entity to use when conducting business. 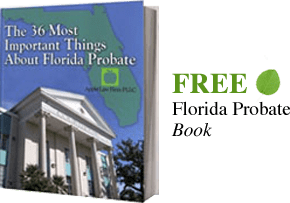 The Florida Sole Proprietorship is similar to a single member LLC in control because one individual in each controls the business entity, but can be different in respect to the tax effects. If you select the default tax treatment for a Florida Limited Liability Company the owner or owners are taxed the as if they had a General Partnership or Sole Proprietorship. That is the income of the LLC will "Pass Through" to the individual and they will be taxed as if they had earned the income themselves. While the Florida Sole Proprietorship offers no protection from liabilities of the business entity, a Florida Limited Liability Company will provide protection of the members' assets from company liability. In addition, if the Florida LLC is structured properly, the business assets can be protected from the personal liability of the members or owners. The Florida LLC requires more formality than the Florida Sole Proprietorship. If you need help with starting or managing a Florida Business CONTACT our Florida Business Lawyers by email or call us at 904-685-1200 to discuss your situation today.